Just wanted to share my 93 300CE that is live on Bring A Trailer right now. Auction ends in two days. I absolutely love this car, very stricking Beryl Blue color. Has 91K miles and I have all service records from new. In great condition and is currently located in Columbus, OH. Everything works and it's been freshly detailed. If anyone is interested in viewing it locally please let me know. If you might know someone that would be interested feel free to share the listing. GLWS! I can't wait to list my E300D up there soon. Been deep cleaning it like mad and fixing every little cosmetic thing with it lately. 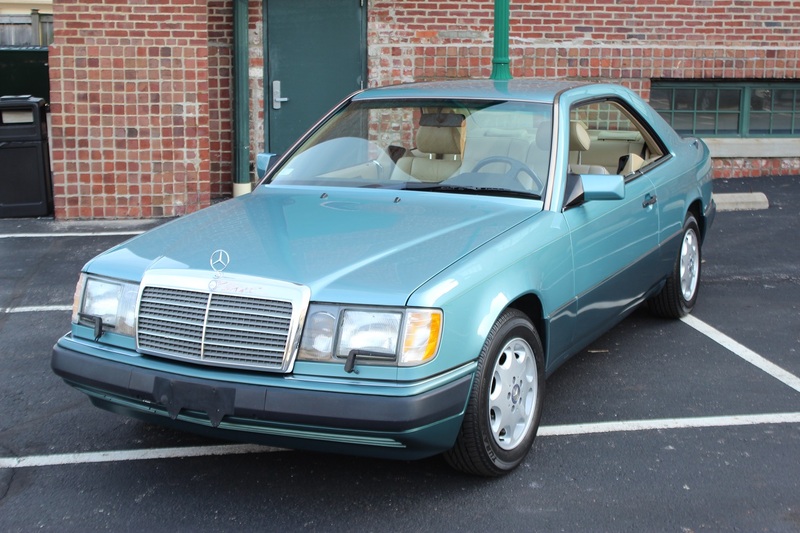 Some of the W124s have been going for crazy money. Last edited by andrewjtx; 04-17-2019 at 09:12 AM. I know this car and can attest to its condition. '85 300TD "Puff The Magic Wagon" - On the road again!